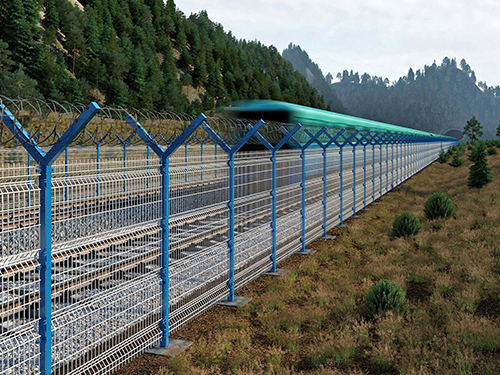 Railway Fence - Buy Railway Fence Product on Anping Pengming Hardware Mesh Co.,Ltd. 1. Fence posts made with concrete pouring, with low cost. 2. High strength, good overall stability. 3. Color plastic coating layer has a good anti-corrosion and decorative effect. 4. The fencing perimeter has a harmony and good outlook. 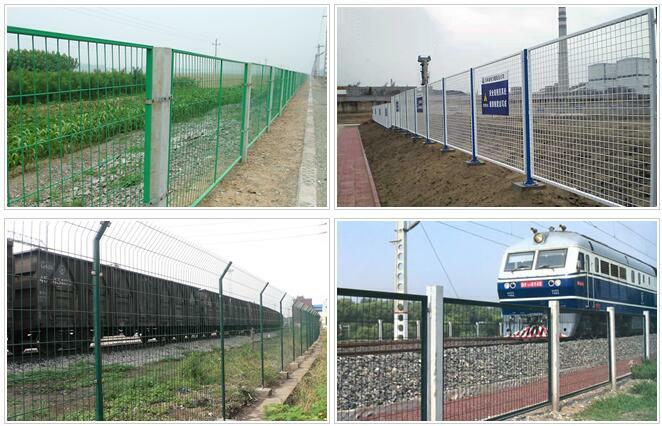 Fencing of Railway, Highway Railing, the Development area Fence and Field Fence.